Lesford Dixon has worked in construction for 18 years in three countries but is most proud of building the carpentry program at Construction Careers Academy (CCA) in San Antonio, TX. His path to the classroom began nearly a decade ago, when he and his family left Jamaica to come to the United States. His teaching brings work and skills to life through stories of his own experiences and early life in Jamaica, where he did not learn to read until the age of 12. 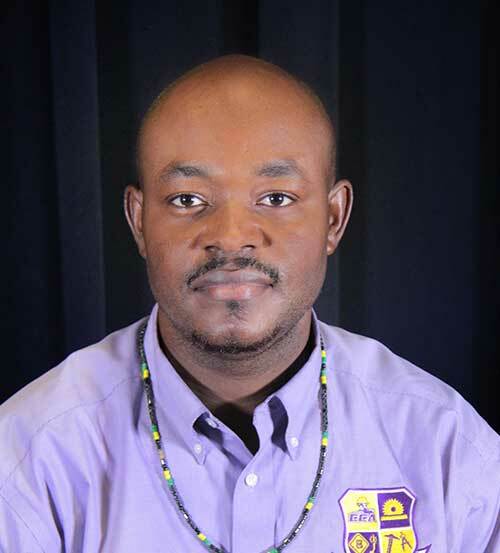 Upon graduation, Dixon earned a Bachelor’s Degree in Building Construction Technology from the University of Technology, Jamaica. Dixon’s mantra is “I do not train laborers,” which he explains as meaning that there is no reason that his students should be working unskilled entry level jobs, especially by their 11th and 12th grade years. In his classroom, students are constantly working with and learning from San Antonio’s top employers. Beyond the lab, he gives his students total freedom to work as teams designing and building homes for 24 months. Students also design and manufacture custom furniture by utilizing leftover wood. To keep the program’s operational costs low, CCA students sell most of what they design and create, so Dixon added a final project in which students make a personal memento to utilize their cumulative skills, explore their creativity, and remind them of the legacy they built at CCA. Each spring, 25 students from a wide range of backgrounds graduate from Dixon’s program. Dixon believes mightily that the safe space he has created supports learning and growth of self-esteem, and offers options for young people who don’t always believe they have choices. To address student or family concerns about the ability to make a living wage in the skilled trades, Dixon makes flashcards listing various skilled trades paths, job requirements and salaries, and he will often quiz his students about these options throughout the year. Unwilling to engage in a debate of “college vs. career,” he emphasizes that each student must find what he or she is passionate about and, for many, working with one’s hands provides that fulfillment. In addition to being a licensed home inspector, Dixon is an adjunct professor of construction technology at St. Phillips Community College and a National Center for Construction Education & Research certified instructor.